Once Saturday’s fight between Floyd Mayweather Jr. and UFC star Conor McGregor at T-Mobile Arena in Las Vegas is over, chances are Mayweather will have dominated like most think he will. It will probably be a very one-sided victory for Mayweather. That doesn’t mean the combatants aren’t going to talk the talk all the way up to fight night, with an emphasis on saying things that will help drive up the pay-per-view numbers to record-breaking heights. While Mayweather’s comments were reasonable, one of McGregor’s was laughable. The fight will be available on Showtime pay-per-view for $89.99, $99.99 for high definition. Conor McGregor has a lot going through his head these days as, in less than two weeks, the UFC star will take on all-time great boxer Floyd Mayweather Jr. on Aug. 26 at T-Mobile Arena in Las Vegas (on Showtime pay-per-view). His three-month-old son Conor Jr. is also at the forefront of his mind. Mikey Garcia and Adrien Broner on Friday successfully made weight for their junior welterweight bout Saturday at Barclays Center in Brooklyn (on Showtime). Broner, who in April 2016 lost his junior welterweight title when he came in overweight for a defense against Ashley Theophane, weighed 138 3/4 pounds, easily making the 140-pound limit. Garcia weighed 139 1/2. Broner, 28, of Cincinnati, is 33-2 with 24 knockouts. He has won world titles in four weight classes. Garcia, 29, of Moreno Valley via Oxnard, is 36-0 with 30 knockouts and has won titles in three weight classes. This is a non-title fight. Hate on Adrien Broner all you want, but the man has won titles in four weight classes, so his accomplishments speak for themselves. That’s why a fight between Broner and three-division world champion Mikey Garcia is a good thing. That fight was announced this week for July 29 at a site to be determined (on Showtime). They will fight at the 140-pound junior welterweight limit. The interested parties on Thursday spoke on a conference call about what should be a terrific fight. “I mean, I’ve done a lot,” said Broner, 27, of Cincinnati. “I’ve done a lot in the sport already at a young age. I’ve watched Mikey Garcia come up before and at the same time I came up. I’ve always wanted to fight the best. The best fight the best and that’s what’s going on today. Garcia is not among them. He’s too smart for that. He took this fight because he knows Broner is dangerous. That, in turn, sparks plenty of interest. “It is the biggest fight available for me right now,” said Garcia, 29, of Moreno Valley via Oxnard. “Originally, my plan was to unify at 135 (lightweight). If that was not available, I would look at a big name to defend my title at lightweight. But that wasn’t quite available. Garcia, 29, is 36-0 with 30 knockouts. Broner is 33-2 with 24 knockouts. Errol Spence Jr. on Saturday took the welterweight title from Kell Brook via 11th-round knockout at Bramall Lane Football Ground in Brook’s native Sheffield, Yorkshire, England. Spence, of Desoto, Texas, dropped Brook in the 10th round. Brook, with his left eye badly damaged, took a knee midway through the 11th and the fight was over. Brook (36-2) was attempting to make the fourth successful defense of his belt. He was coming off a fifth-round TKO loss to middleweight champion Gennady Golovkin. Spence (22-0, 19 KOs), a 2012 U.S. Olympian, was in his first world-title fight. He was up by one, three and five points at the time of the stoppage. There is been a lot of talk about Errol Spence Jr. and how good he might become. The boxing world will find out Saturday if Spence is indeed the real deal when he challenges Kell Brook for his welterweight title at Bramall Lane Football Ground in Brook’s native England (on Showtime). Current welterweight champion Keith “One Time” Thurman and former champion Danny Garcia this week were asked to handicap what figures to be an entertaining bout. They, too, are anxious to see what their fellow American can do in this one. “This is an interesting fight,” Thurman said. “I have not followed Kell too much, but I have obviously seen Errol fight in the U.S. Errol is a tough, young fighter who is just getting into the public’s eye, and Kell obviously has the strength of the British crowd on his side. Thurman in March won a split-decision over Garcia in a title-unification bout at Barclays Center in Brooklyn. Garcia believes this fight is a tossup. “I think this is a 50/50 fight,” he said. “I think the person with the better game plan is going to win. There’s a lot of pressure to go into someone’s backyard like Spence is doing, and he’s never faced a fighter in his prime before like Brook. 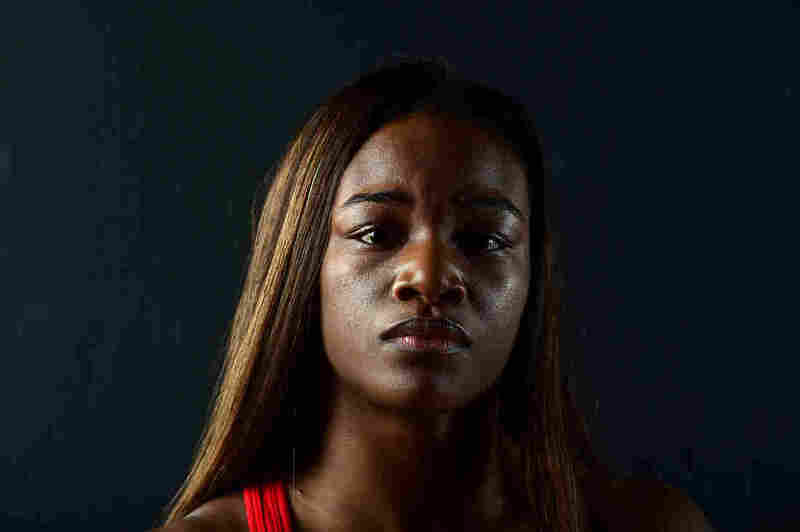 Spence, a southpaw out of Desoto, Texas, is 21-0 with 18 knockouts. Brook is 36-1 with 25 knockouts. Wait, former champion Adrien Broner is no longer going to talk trash? Adrien Broner has been a big-mouth during his career. But he swears those days are now behind him. No kidding. He said as much Thursday at the final news conference for his welterweight fight Saturday against Adrian Granados at Cintas Center in Cincinnati (on Showtime). “I know everyone is used to me coming up here and being boastful,” said Broner, of Cincinnati. “That’s not me anymore. I have a lot of respect for Adrian Granados and he’s a great fighter. That’s a heck of a turn-around, assuming Broner keeps to that credo. One thing’s for sure, he can fight. Broner (32-2, 24 KOs) has won titles in four weight classes, but Granados (18-4-2, 12 KOs) is confident he can hand Broner his third loss. Jorge Linares of Venezuela has already beaten Anthony Crolla once at Manchester Arena in England, taking Crolla’s lightweight title via unanimous decision this past September. Since Crolla is from Manchester, it was an impressive victory. Linares (41-3, 27 KOs) apparently is not the type to say, “Been there, done that,” so he will happily take on Crolla again at the same venue March 25 (on Showtime). “I wasn’t supposed to win the first fight, but I’m glad I did so I can come back and do it again,” Linares said Tuesday at a news conference in Manchester. Crolla (31-5-3, 13 KOs) certainly doesn’t want to lose twice in his backyard to the same opponent. Linares knows that, so he expects Crolla to come with everything he’s got. Crolla, 30, can’t wait for the opportunity to get back the hardware he lost in September. “I want the belt back, simple,” he said. “Fighting for these prizes in front of us is huge. It was a special night last time; great crowd and it’ll be even bigger this time. The setting was perfect, but I lost my belt.